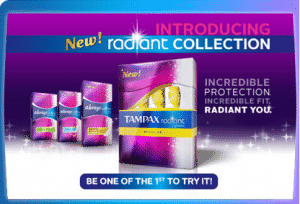 Click here to visit the Being Girl site and fill out the form to request free samples of Always & Tampax Radiant. According to their site, you must be between the ages of 16 and 22 to request a free sample. Hurry though because this always goes quick!